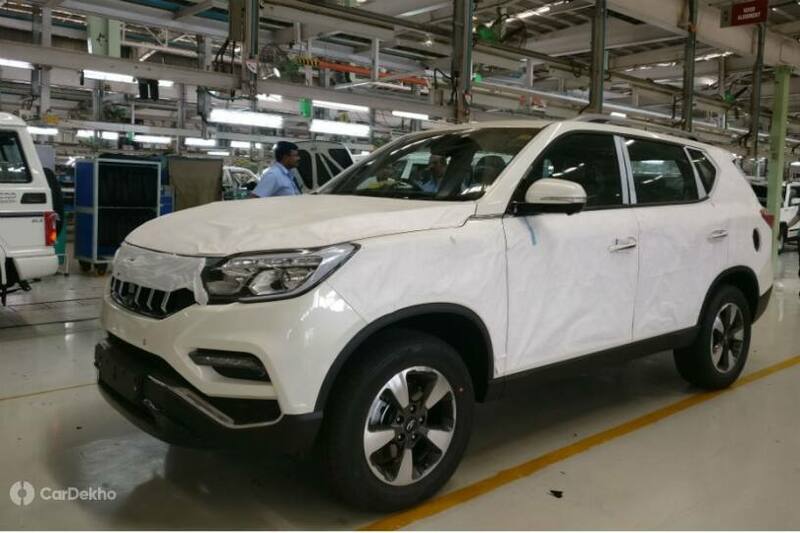 HomeNew CarsNewsMahindra Alturas G4: What Goes In Its Making? Despite being one of the biggest SUV manufacturers in India, Mahindra took its own sweet time in bringing a premium SUV that could rival the Toyota Fortuner and the Ford Endeavour. But at the 2018 Auto Expo, we were introduced to the Alturas G4 which promised to take on the aforementioned behemoths. Based on the Ssangyong Rexton, it was launched late last year and is available in one variant but two powertrains with a starting price of Rs 26.95 lakh for the 4X2 and Rs 29.95 lakh (ex-showroom India) for the 4X4 variant. Coming in as CKD (completely knocked down) kits from South Korea, the Alturas G4 is the only SUV at Mahindra’s Chakan facility which doesn’t feature many locally sourced components. It feels like a properly luxurious SUV, and is in fact the best-equipped Mahindra we have ever seen in India. To actually see how the Alturas G4 is put together, we took a short trip to Mahindra’s Chakan plant. Unfortunately, we couldn’t see it being rolled off the assembly line as the Alturas G4 production was on hold during our visit. Instead, we got to see the unfinished parts, the ladder frame chassis of the SUV, and components waiting to be fitted to the final product. Coming back to the manufacturing process, most of the bits and pieces except the ladder frame chassis arrive packed in boxes. Mahindra officials at the spot claimed that they can manufacture more than 500 units of the SUV depending on demand. Interestingly, the Alturas G4 is assembled on the same line as other basic Mahindra products like the Bolero and TUV300. This speaks scores of the simplicity of the ladder frame underpinnings. Once each and every component is welded and fitted together and the Alturas G4 takes its final form, the scratch-prone areas are covered. This prevents any marks that might sneak in during the transit process while your beloved car is on its way to the dealership. But that doesn’t mean the India-spec Alturas G4 is identical to its counterpart sold in South Korea. The differences are subtle but they do make their presence felt -- take a detailed look below. The India-spec Alturas G4 has a whopping 23mm higher ground clearance than the Korean-spec Ssangyong Rexton. At 244mm, it leaves rivals like Ford Endeavour and Toyota Fortuner far behind. The raised ground clearance is the result of suspension tweaking on the Alturas G4 sold in India. India-spec Alturas G4 receives 18-inch alloy wheels instead of the 20-inchers available overseas. Mahindra says the smaller wheels will offer better ride quality in Indian conditions. The 8-inch touchscreen infotainment system on the Alturas G4 is smaller than the 9.2-inch unit on the Ssangyong Rexton. While the Alturas G4 isn’t lacking anything on the features front at its price point, it does miss out on radar-based safety technologies such as autonomous emergency braking (AEB), lane departure assist, and forward collision warning. That said, features like 9 airbags, ABS with EBD, hill descent, hill ascent, active rollover protection (ARP), ISOFIX and traction control put it at par or even ahead in some aspects from its rivals. Do you think the Mahindra Alturas G4 has what it takes to leave a mark in the full-size SUV space that has for long been dominated by the Toyota Fortuner and Ford Endeavour? Let us know in the comments section below.